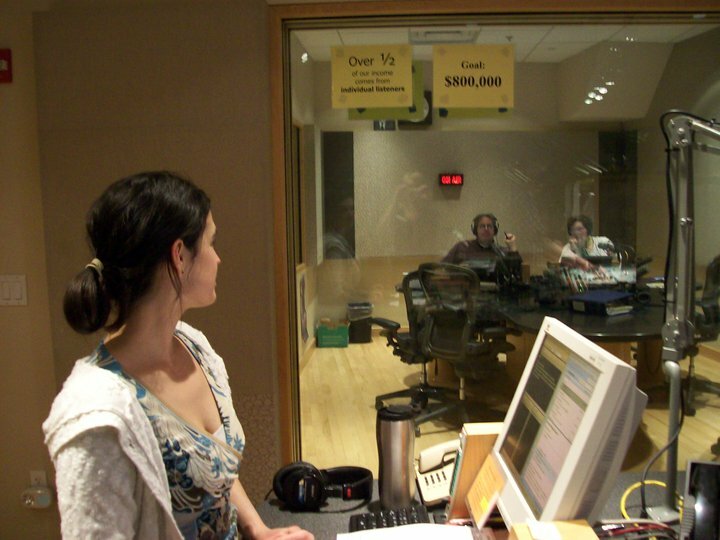 Some of you know that my daily job is to produce a radio show for KUOW Public Radio; NPR Seattle. We recently did a program about brain cancer and brain cancer treatments. The show mainly focused on the type of cancer called Glioblastoma, which is the most deadly form. Luckily, this is NOT what my father has. The show was interesting and worth listening to if you want to learn more about this disease and what patients and families are facing once they get a diagnosis. As an added bonus: My father’s new favorite medical professional, Candice Becker-O’hara, is on the show. She’s a Clinical Nurse Coordinator of Neuro Oncology at Seattle Cancer Care Alliance. She is also the shining light of my father’s medical life. You can find his description of her in the “Blessings” section of the blog. Thanks for leading me to your family’s blog from Facebook. I have enjoyed reading the entries thus far, and understand how difficult this time must be. You have my absolute hope and faith for the best possible outcome for your family. My grandfather (Delbert Jeter) moved to Seattle with my mother in 2006 as I was exiting the Navy. He was 69 years old, and had been diagnosed with terminal Glioblastoma and a 6 month expectation. Unfortunately, he got four. My grandfather was a pharmaceutical chemist for Boeringher Ingelheim, a Germany based medicinal company, working in their livestock divisions in St. Joseph, MO. Committed as he was to the pursuit of science, he elected to try several experimental cancer treatments, but as with many others before him, the side effects were too great. He made arrangements to donate his body to the University of Washington for the medical department. He eventually resigned the last two weeks to smoking his pipe, and using edible cannabis to relieve his suffering. This was the point at which I started believing medicinal cannabis was more than an excuse. My grandfather passed on cinco de mayo in 2006, fitting since he was such a fan of margaritas. He was carted off to UW that morning, and after spending a few quarters with an aspiring doctor, his cremated remains came home to rest at our family home. We now toast him on each anniversary of Cinco de Mayo. Thanks for the show on Glioblastoma. I appreciate your awareness building on this sort of cancer.